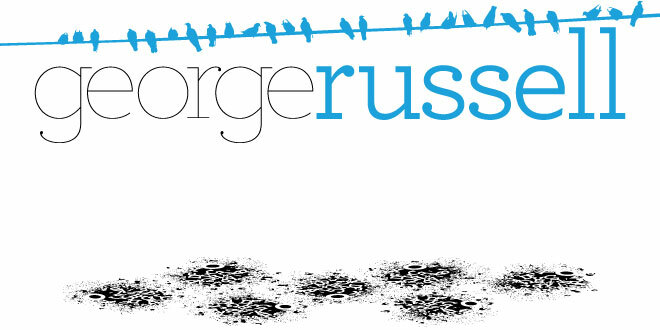 George Russell, Vis Com: New Brief! Screen Based Communication 2. New Brief! Screen Based Communication 2. This is one of the briefs I have been most looking forward to since starting Visual Communication last year. We are required to produce a working portfolio website containing our own work accumulated over our time spent at uni. The website we create can be in any format we choose just as long as it is compatible and fully functional with most browsers, like Safari, FireFox, Internet Explorer, etc. I have been really looking forward to this brief because it's the first piece of work we are going to produce that has proper physical contact with people other than the tutors or the class. It could potentially be viewed by anyone around the world! It's also going to have to be a true reflection on us as a designer so it's a chance to brand ourselves into what we want to become, be it illustrator, graphic designer or other. It's going to be our first contact with the design industry for real so I shall be focusing solely on looking at different formats, experimental formats and formats that push the boundaries not only in order to learn but to create a different and innovative site that can reflect me.